Lesley McCaskill, ‘In the Moment,’ watercolor. 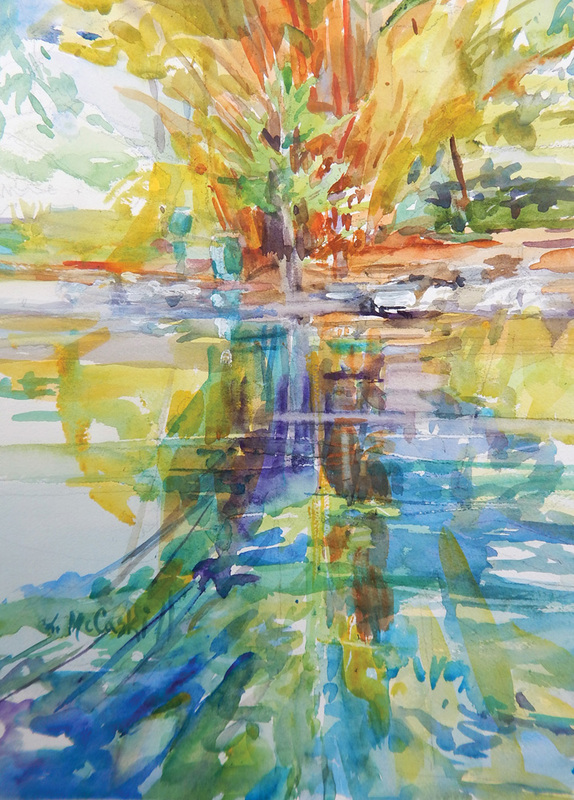 Cheryl Wisbrock, ‘Marsh Glow II,’ watercolor. 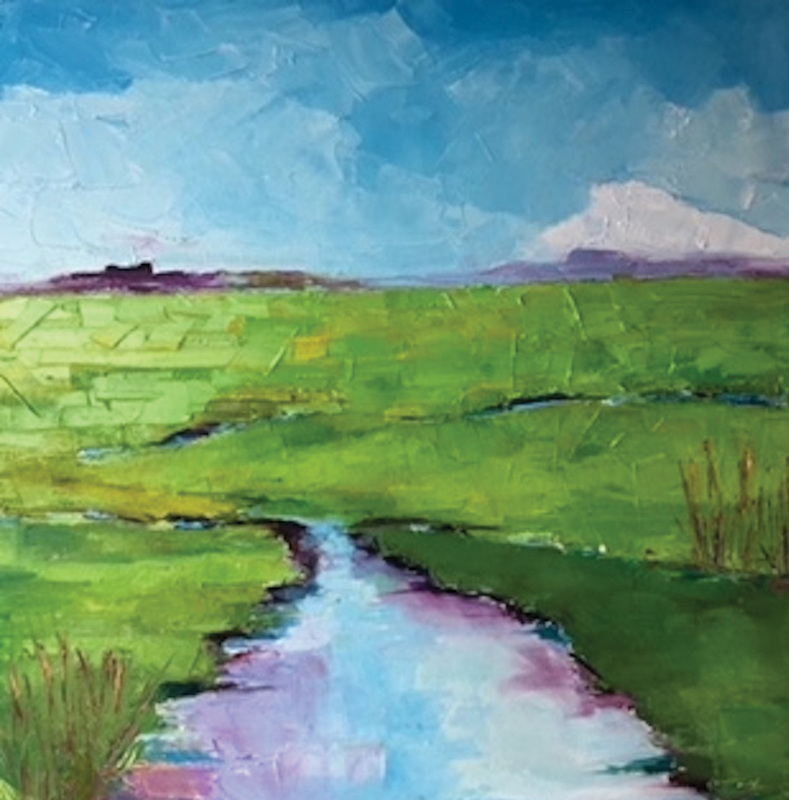 MaryBeth Patterson, ‘Canary Creek,’ oil. “Village of Dinan,” Eileen Olson’s watercolor and gouache painting, “was created during a one-month artists’ residency in Dinan, France a few years ago. Living in a small French cottage gave me a renewed gratefulness for my experience and provided an incubator for productivity and additional opportunities for inspiration,” she said. “The peaceful marshland is beautiful at any time, but when the conditions are right (calm, smooth water and the sun at a perfect angle), the reflections create a magnificent display of light and image,” said Cheryl Wisbrock. 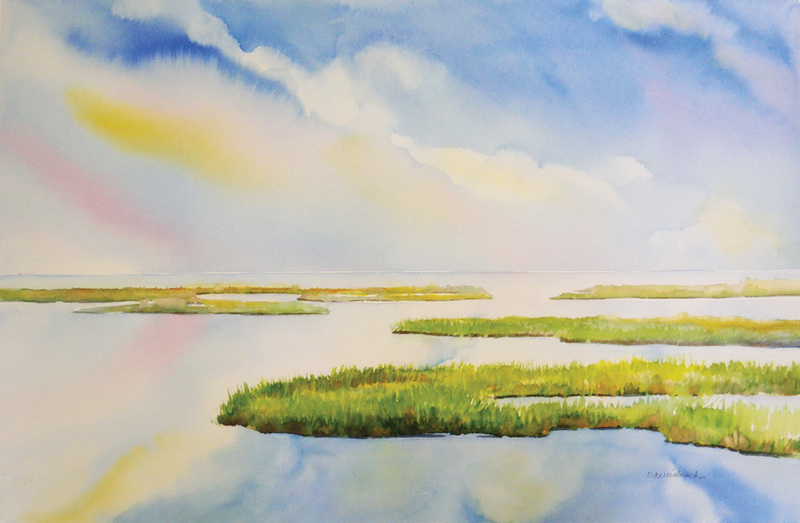 “Marsh Glow II,” a watercolor, captures the relatively short-lived phenomenon. “Egret Reflections,” an acrylic by Dale Sheldon, features a white egret bathed in afternoon light along shallow water. 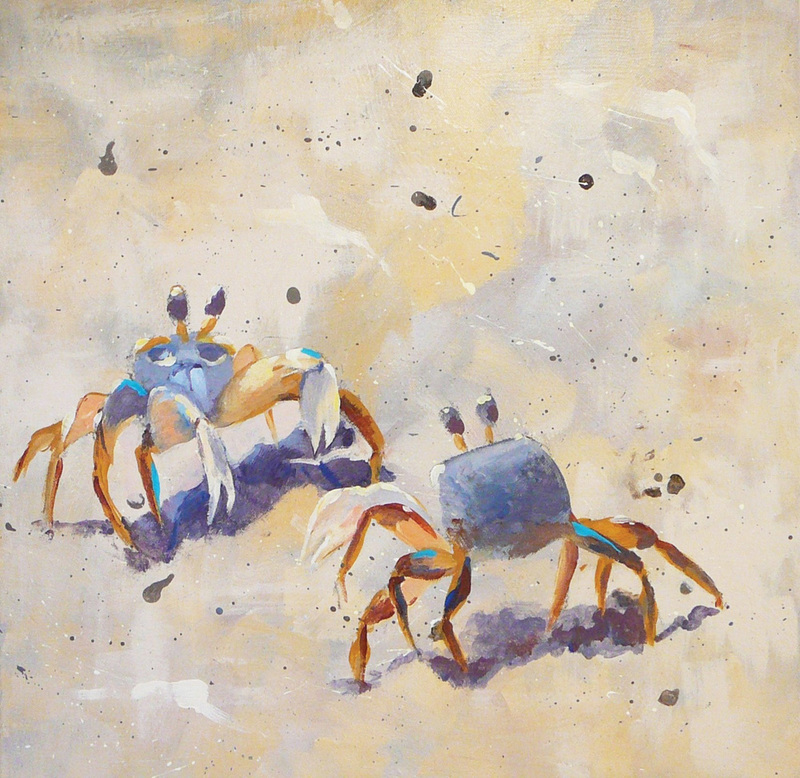 “Twins,” Joyce Condry’ acrylic, shows two identical ghost crabs on the beach. In addition to “Reflections,” which runs through Oct. 30, the gallery’s Artisan Room features textiles, hand-blown glass, pottery, glass jewelry and wood pieces by local artists. Gallery One is open daily from 10 a.m. to 5 p.m. and is always staffed by one of the artists. For more information, visit Gallery One’s website at www.GalleryOneDe.com, call (302) 537-5055 or visit the gallery at 32 Atlantic Avenue (Route 26) in Ocean View.